Despite the danger of distracted driving, drivers of new cars spend a lot of time staring at screens. In addition to central touchscreen displays, many cars have digital instrument clusters. One vehicle with that feature is the 2020 Ford Explorer, but Ford has concocted a way to combat information overload. When it goes on sale this summer, the 2020 Explorer will be available with a 12.3-inch digital instrument cluster that can display all kinds of information. 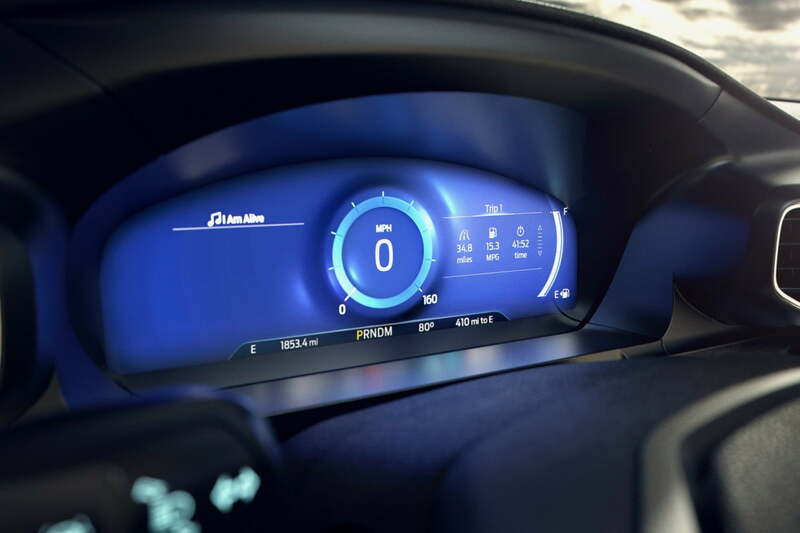 But the display will also feature what Ford calls “mindful mode,” which turns off everything except the speed and fuel readouts. That should make it easier for drivers to concentrate on the road, but Ford also believes it will have a greater benefit. Whether it’s a smartphone or computer, the average person spends a lot of time staring at a screen, Ford noted. Cutting down on the amount of information presented behind the wheel can help drivers “digitally detox” and enjoy some (relatively) screen-free time, according to the automaker. If Ford is really serious about giving drivers a break from digital devices, wouldn’t it be better to eliminate the Explorer’s digital gauge cluster and the 10.1-inch portrait touchscreen that will also be available on the SUV? Screens add complexity and increase the likelihood of driver distraction, but they have also become expected features in new cars, enabling everything from rearview cameras to in-car pizza ordering. The 2020 Ford Explorer rides on a new rear-wheel drive platform that Ford claims will benefit both on-road an off-road performance. Regular trim levels get twin-turbocharged four-cylinder and V6 engines, but Ford will also offer a sporty ST model and an Explorer hybrid for the first time. The Explorer gets Ford’s Co-Pilot360 suite of safety tech, and some trim levels get special Michelin tires that can self-seal punctures under certain conditions. The 2020 Explorer goes on sale this summer, with pricing to be announced closer to the launch date.